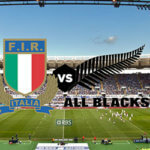 It is widely believed that Israel Dagg; Ben Smith; and Aaron Cruden, players for New Zealand’s All Blacks rugby teams, will no longer be playing for their native country when 2017’s international season draws to a close. Dagg players for the Crusaders in Super Rugby, and the All Blacks internationally, and has also taken part in Sevens games, representing Hawkes Bay for the ITM Cup. The 28-year old player was born in Marton, New Zealand and stands in at 1.85 metres, weighing 96 kilograms. He married Daisy Aitken in 2014, and is the son of Horiana Nukutarawhiti and Peter Dagg. Benjamin Robert Smith, or Ben Smith as he is more commonly known, is a rugby union player who has been part of the Highlanders for Super Rugby games; played for Otago in the ITM Cup, and is also a member of the All Blacks team. He was born in Dunedin, New Zealand, in 1986, and his 1.8 metres weigh in at 91 kilograms. He married Katie Menzies in 2015, and is the son of Stu and Karen Smith. Aaron Wiremu Cruden is a rugby union player; represents the Manawatu Turbos in the ITM Cup; plays for the Chiefs in Super Rugby; and the All Blacks in international games. 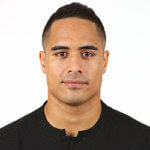 He debuted as an All Blacks players in 2010, and stands at 1.75 metres, weighing a total of 84 kilograms. He married Grace King in 2014, and has a book, The Beginner’s Guide to Rugby, to his name, which has been eagerly received by his adoring public. These players’ contracts with New Zealand as per rugby expire in 2017, and a number of clubs in Europe have indicated that they are interested in recruiting them. 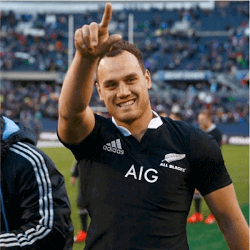 Gavin Mortimer, renowned rugby journalist, told Radio Sport Breakfast that Toulon was very interested in Israel Dagg. Leinster, although also very interested in Dagg, did not have the money to compete with Toulon, famous for being big spenders, and Mortimer stated that his opinion was that Dagg would move over to either Bordeaux or Toulon. Lock Rory Arnold and centre Tevita Kuridrani are two more names that have been linked to rumours of a move to France, with the duo from the Brumbies reportedly being wooed by both Toulon and Bordeaux as well.